tarrtime's review"Best NI Piano to date"
Alicia's Keys can be purchased as a stand-alone software library, or as part of a software bundle like NI Komplete (this is how I received my copy). From owning Komplete, I also have access to all the other piano libraries from Native Instruments. My opinion is that AK's is much better than any of the old libraries. The detail of the samples and playability has been improved in this newer library. I think AK's is much better than any of the other grand piano libraries from NI. It is much more versatile for different styles of music, and sits better in a mix. I suppose the Upright Pianos library provides a different flavor compared to the grand piano in AK's. If your song really calls for an upright piano, then that would be the only reason not to use AK's. Compared to other sampled piano libraries not made by Native Instruments, there are better libraries than AK's but they are also more expensive. EastWest Pianos and Synthogy Ivory are probably the 'standards' to compare it to. I think AK's is better than the Digidesign "Mini Grand' library and the sampled pianos from IK Multimedia SampleTank. But Synthogy Ivory is superior to AKs. If you don't want to spend too much money on a piano sample library, Ivory has a few options to just purchase a single piano. Again, these are more expensive than AKs, but you get what you pay for. 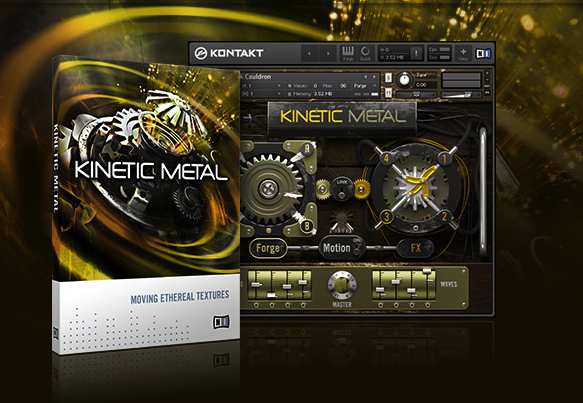 This software can be used with Kontakt 4 or 5, and also the free Kontakt player. It is pretty simple to use - just load it and start playing. You can adjust some controls like reverb and velocity. For the most part I haven't been very impressed with the effects inside the library. I think the samples by themselves sound really good. If I want to eq, or add reverb, I find that it is better to do inside of my DAW rather than inside Kontakt. 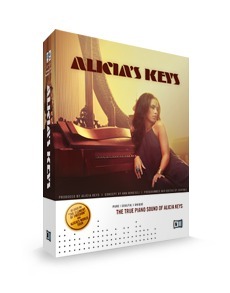 Alicia's Keys is a sampled piano library for NI Kontakt. It includes detailed sampling of Alicia's own Yamaha grand piano. The piano way recorded in a nice studio with nice microphones and nice amplifiers. It is pretty much the 'dream' setup most of us would wish to have. The piano is really fun to play. It sounds great, and can easily trick into thinking you are hearing a real piano. Some sampled libraries don't include enough velocity layers that make the difference between a 'realistic' sounding performance and a 'fake' sounding performance. Both soft and hard velocities are included in this library so midi performances with a lot of dynamics will come across as if you have really hit the keys harder or softer. The samples sound very clean and pristine. They are well suited for r&b (obviously thanks to Alicia Keys), but are also great for pop music too. In some cases, this piano does not provide enough 'attack' on the notes for more rock music where the piano needs to hit hard to cut through a dense mix. Alicia’s Keys by Native Instruments is a great sounding piano synth. The piano isn’t really like a grand piano to me, it sounds more like a piano that would be in a vst but with just better quality. Native Instruments is known for bringing top quality vst’s and sound packs to the table for all of us musicians. I ran Native Instruments Alicia’s Keys on my Windows Vista Quad Core pc. I had zero issues with it, it worked perfect. All I had to do was insert the disc make sure all of the files were saved into the vst folder where my program was and I was good to go. It worked like a charm, but keep in mind that it does use a lot of your CPU. So you may get some lagging or choppy type of sounds. Even if you are using Asio drivers you may still experience some sort of choppy and glitch like sounds. Overall I feel like this is a great piano vst. There arent too many vst’s on the market that concentrate on piano sounds instead of a bunch of synth and brass sounds. This one is all about the piano, and them using Alicia Keys face and name on it really doesn’t have much to do with it. That was more of a sales tactic, but I feel like this is a great software that any producer needs if they are using a lot of piano in their compositions. The sounds of the piano’s are very high quality and radio ready, you wont even need to do to much eq to the sampled sounds. The price that I paid for this brand new I think was 105 and it was a great buy, especially from Native Instruments, who will keep you up to date with any upgrades and they will give you special offers on other products that they have, you just cant go wrong with this. 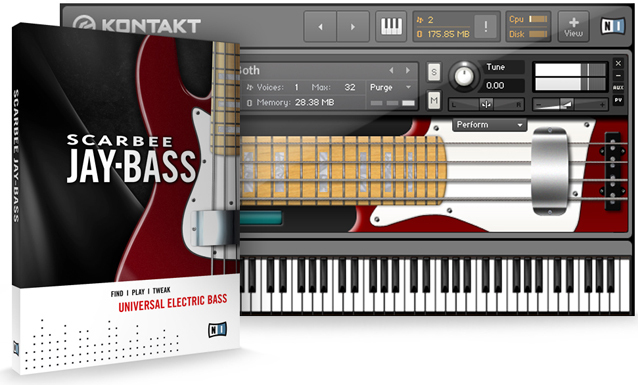 I don't normally have any issues with Kontakt plugin but I did with this one. It wouldn't give me output at first and it wasn't an issue with my DAW either. I finally realized it was some kind of mute function deep within the plugin that I had to find. Normally I would say this was my fault but I've been working with Kontakt for a while and I really think this was NI's issue. Not a huge complaint since it works fine now but still I wasted a good hour. This is a pretty cpu hogging piece of plugin. It will tank your hard drive and ram just as much as any other high quality piano. I'm serious about that. Prepare to have your memory chewed apart by this thing if you run it with a low latency. It also takes up about 7 gigs or so of space so take that into account. I have a fast rig so it gives me no problems. Using it with an AXIOM 25 right now. So first, I'll start with what I like about it. Well for $100 it sounds very very good. It's a really modern sounding piano with a more forward sound that's less bassy in the low notes than you might expect. It's really made to be used on top 40 style songs rather than by itself. I truly think this piano is voiced more for a full arrangement. If you want that big classic grand sound this is not it. This is the kind of piano you hear on those billboard r&b hits every week. Now the bad. It sounds good and not great. Once again the price I think reflects that. It's just not terribly 3D sounding to me. NI has put out better pianos before. Something was lost in the making of this one. I think it might have something to do with the weak ambient sounds. The reverb and room acoustic are just meh to be honest. No matter how I set them they just sound so so. I'll wrap up by saying that for $100, this is a good plugin for modern radio piano sounds. Other than that, I think you can do better. I rarely use it these days. But then again I have some very nice pianos now. If i was on a tighter budget I might use it more. 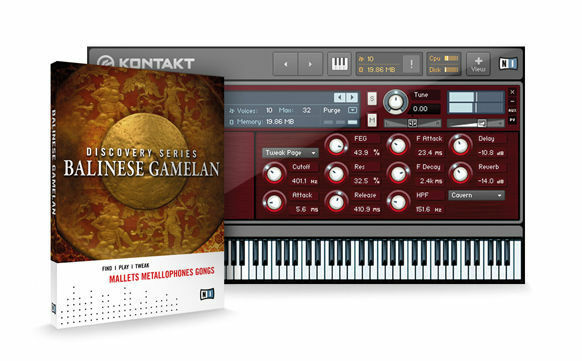 A disc for kontakt player in case you did not have the latest version, and another disc to the bookstore. Manual: enough, there's not tons of settings. I have a recent computer: i7 920, win x64 and the library is installed on a SSD. - The sound is interesting because different galaxy pianos for example. Means that it is not a tail 36 feet long, but it is complementary to the tails together, because we then have a nice color. The low-medium Bluthner reminds me of Galaxy II. The bass is strong enough I think. The sound quality is much better than Akoustic (which I find cramped, lacking in life). To give an idea what kind of stamp, I think it goes far to play Beatles' songs or yann Thiersen with this little hand "vintage" sound. - The gameplay is very good, you can set different velocity curves. With the linear is ok on my roland rd700gx. - Downside: unlike for example the galaxy vintage D, no real semi-pedal depressed. It can be annoying because with the pedal notes really last long, and when you release the pedal is a bit abrupt transition as I find (the galaxy are more realistic on this point took up the decay time of sound felts and dampers).